Other dating systems with verifiable decay rates conflicted with the isotope based results. Challenges come from HE (helium) and AR (Argon) gases, which have a known and measurable escape rate in rocks suggest quite young results from the same samples dating <10,000 years old. C14 in diamonds also present a challenge as does PO214 evidence (Polonium having a 1/2 life measured in seconds, who's decay halo's appear in many minerals, fossils and even the crystalline granite's) contradicting old age formation theories in those same mineral structures. All these challenge the isotope long-age methods (2). In another study, a fresh flow over the top rim of the Grand Canyon dated a more than 200 million years older than a flow at the bottom, befuddling evolutionary time charts. (3) (See Clip) - SD That's a Fact - 1 Measuring Billions The RATE team was also encouraged by a recent (2013) anomaly reported around the world by many laboratories, who were stunned to see their nuclear clocks hick-up. It appears the bump was due to sun spot activity, placing in question the entire isotope decay accuracy as the RATE Project team suspected. (4) It should be noted that long-age promoters only use a few isochron methods in a field of the over 70 other uniform detectors available to determine rock age. The particular isotope method giving the age to fit a preconceived model are often provided, such as classification of the strata found to contain supposed "early" life forms such as Prokaryote single cell bacteria. However, now that those creatures have been found to be incredibly complex, the goal posts must be moved again to allow enough time to self-form their complex parts, like the Proton Powered motor found in them. Interesting that when establishment science institutions provide some long age to a rock, they dismiss all other contradicting dating methods in favor of the longest ones! Dr. Vernon Cupps, a nuclear physicist comments on these age dating methods Vs known geologic activity: "So how do the actual data compare with the model results? First, the various isotope combinations used in the isochron method of dating are clearly discordant—they do not produce the same age for a given rock formation. 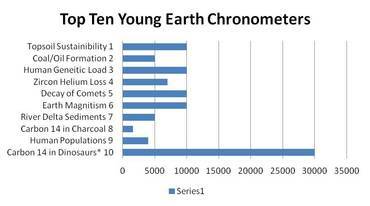 Second, the isochron method gives erroneous ages for rock formations of known age. Specifically, rocks gathered from recently erupted Mt. Ngauruhoe in New Zealand gave a K-Ar date of 270,000 to 3.5 million years, a Rb-Sr date of over 133 million years, a Sm-Nd date of nearly 200 million years, and Pb-Pb dates of 3.9 billion years—all this from rocks known to be less than 60 years old!" Further Dr Cupps relates - "Another example involves lavas from the Virunga Toro-Ankole regions of the east African Rift Valleys. Lavas from these rift valleys known to be Pliocene (<∼ 5 million years) or younger give a Rb-Sr isochron model age of 773 million years. Igneous rocks on the rim of the Grand Canyon give dates older than the igneous rocks at the bottom, contrary to their stratigraphic placement. Clearly, the model does not reliably reproduce the observational data and therefore must be modified or used with appropriate caveats." Speaking of one method often touted as immutable by evolutionary geologists, Cupps further states: "This is clearly a circular methodology...this method is deliberately biased by the standard used to determine J.4 This appears to be academic propaganda rather than good science. He goes on: Other than the unreasonable assumptions that form an integral part of all three K-Ar dating methods, there are many examples listed by Andrew Snelling in Radioisotopes and the Age of the Earth in which the methods give erroneous K-Ar dates. Thus, the K-Ar model does not meet even the basic criteria of a hypothesis in the scientific method. Researchers who use results from these dating methods to conclude that rock sample dates are evidence of a millions or billions-year-old Earth are simply not using a legitimate scientific method. Dating methods that use better assumptions which can reliably reproduce known ages of rocks are needed. The potassium-argon dating method—once heralded as a solid scientific method—has proven to be unreliable. Cupps concludes - "In the end, the isochron model for radioactive dating is only a hypothesis and a rather poor one at that. Models, no matter how elegant their mathematics, are only as good as the assumptions that go into them and how well they reproduce reality through observation and experimental data. Conclusion: The scientific method simply does not allow isochron-model dating to be presented as scientific fact. Back to the drawing board." Cross-sections for the reaction 39K(n, γ)40K range from approximately two barns (10-24 cm2) for three MeV neutrons to 1,000 barns for one eV neutrons. These are very large cross-sections for nuclear reactions. Cupps, V. 2014. The Iconic Isochron: Radioactive Dating, Part 2. Acts & Facts. 43 (11): 10-13. Faure, Principles of Isotope Geology, 74. J is the isotope production factor. In order to evaluate the amount of 39Ar generated during the irradiation of 39K, the amount of 39K must be known as well as the time over which the irradiation occurs, the number (flux) of neutrons of a given energy which strike the sample during the irradiation, and finally the cross section (or probability of the reaction occurring) at the given energy. Summing (integrating) the product of these factors over the entire energy spectrum of the neutrons generated by a specific nuclear reactor will then yield the amount of 39Ar formed by the irradiation. Faure, Principles of Isotope Geology, 95. In summary, the isotope systems are nothing to throw your Bible away over, the Book has stayed consistent, these methods are ever changing as new information comes in that could overturn them in an instant! See "The Question of Complexity" page in the this site for more: The Question of Complexity - Genesis Alive! 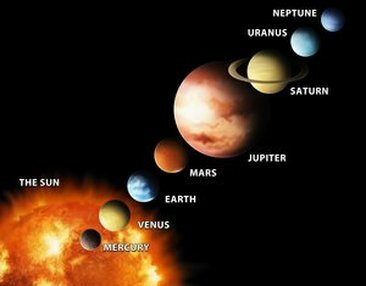 Recent information shows that the earths 1/2 magnetic life is only 1400 years and shockingly that Mercury's is only 300, confirmed by 3 NASA space probe fly by's measured over the last 30 years! The Steen's Mountains are an enigma for long-age hypothesis. Its "scarp face" formation is an exposure of the "Columbia Basalts" catastrophic lava flow(s) that erupted only a few thousand years ago and flowed East. In its exposed faces an important discovery was made using "Paleo-magnetic dating" analysis. It was found (as Dr. Russ Humphreys predicted years before), that rapid reversals of the magnetic poles (where North and South switched), occurred in a matter of hours during the flow sequences. Nothing survived in Oregon (and maybe the entire world) during that period, and much action occurred underwater. The John Day Fossil beds and most of Oregon geology as we know it today formed during this period. The Willamette valley was formed as part of the "Missoula Flood" sequence that occurred after the Ice Age that followed this massive event as recorded in the Rocks. Water was trapped behind a huge natural dam in Western Montana that cyclically flooded most of Western Oregon and formed many features. Among these included the multi-layer sediments of the fertile Willamette Valley we enjoy today. River Deltas around the world suggest a single age, that is they are all <5-7,000 YO As an example the largest river in the world, the Mississippi, exhibits about 5,000 years of sediment volume across its diverse set of deltas.1 So does the Nile and the Po River in Italy, a well studied delta system. If the entire planet was engulfed in a flood, it makes sense these deltas would have a new start date, and they do, all less than 7,000 years past 2, well within the time frame of the flood adjusting for seasonal variations. 1.Benjamin F. Allen, "The Geologic Age of the Mississippi River", Creation Research Society Quarterly, Vol. 9 (September 1972), pp. 96-114. The topsoil in China is known to be 40% depleted and 30% is threatened, with 16% contaminated. Both Kansas and Iowa are at crisis depletion levels, as 30% or more of their acreage are in the "red." Most of the world's major crop producing areas are estimated to last less than 200 years, some less than 60. All this means the earth would have be a soil-less parched landscape in only a few tens of thousands of years. Our hydrological cycle takes soil only one-way - straight into the oceans, and without proper management they will be destroyed. 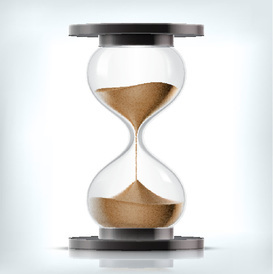 Another time chronometer that disallows millions of years. At the current rate of erosion, all Earth's mountains would be worn flat in 17 Million years! * If we took all the bones of just the people that have died in just 1 million years alone, the entire universe would not contain the volume of bones, so how can Billion year long-ages be true? 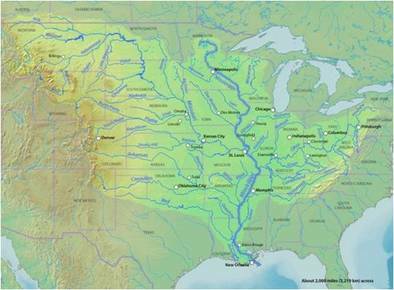 It should be noted that a 7 year study was conducted on the delta sediment of the Mississippi River. The conclusion? No more than 5,000 years of deposits exist there. This approximate value is true among many of the worlds rivers. 1. See Dr. John Sanfords' volume; Genetic Entropy and the Mystery of the Genome, 3rd edition, FMS Publications, New York, 2008. Also Kondrashov, A. Contamination of the genome by very slightly deleterious mutations: why have we not died 100 times over? Journal of Theoretical Biology 175:583–594, 1995. So as we have learned, there are volumes of evidence for a young earth. The lines of conflict seem to be directly related philosophically between evolutionists and Intelligent Design objective thinkers... It is entirely unreasonable to only promote a few isotope measurement systems hidden away in closed door laboratories for all of academia to hang on, and hide away all this other evidence. A T-Rex blood cells from 65 million years ago?, or maybe not. The Plesiosaur, the most common large marine fossil in the world, found buried in flood deposits at high altitudes? So why are we finding these animal at high altitudes buried in flood deposits? Ever try to throw mud on a lively female pregnant Plesiosaur! This is evidence of a massive water catastrophe. A pregnant Plesiosaur was found complete and is now on display in Los Angeles; "Drs. O'Keefe and Chiappe have also determined that plesiosaurs were unique among aquatic reptiles in giving birth to a single, large offspring, and that they may have lived in social groups and engaged in parental care. 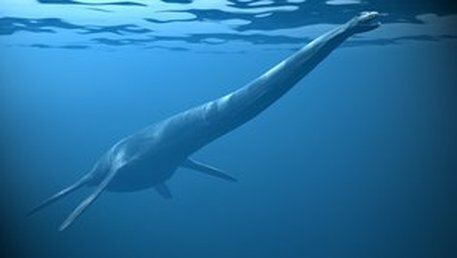 Plesiosaurs have no known living relatives, but were common in the world's oceans during the Age of Dinosaurs. (1) At this writing, the age of dinosaur bones are in serious question, as a rebel group of scientists in Europe are challenging the notion of 70 million ages associalted with these creatures, as test after test using C-14 methods show they are young! Is there a story here these animals are trying to tell us? Yes, the Flood account in the Bible is true stuff! Of interest is the water sediment burial common to all Plesiosaur fossils found around the Earth. Also noteworthy is one found in Kansas (1) carrying a young pup, (perplexing to evolutionists, who assumed marine reptiles were egg layers), and two very recent findings, one near Livingston, Montana (pictured above) and another near Mitchell, Oregon (2) Both were located at high desert altitudes over 3000 ft! Think of a watery catastrophe so massive as to catch a 25ft long Plesiosaur and preserve it in mud/sand in the mountains! Interestingly enough, evolutionary paleontologists quickly dated the 'mud' layers where these animals were found as 75 million years old, mainly because they contained a Plesiosaur they say lived at that time frame according to the evolutionary time chart, not based on some outside method of dating! Think of it, how can you catch a live Plesiosaur and quickly cover it in sediments? Other pregnant females have been found around the world, suggesting they were buried in the same event. The Mosasaur, another one with soft tissue? Like the soft body Mosasaur, all have been rapidly buried, died, and then later unearthed as uniform erosion exposed them. Actually, if you compare them to the Mammoth finds in Siberia and Alaska, being exposed in identical ways, why are the Mammoths dated in thousand of years and the marine reptiles @70-80 Millions of years past? Who makes these determinations, are they taking into account the soft body tissue and known decay rates into consideration, or are their assumptions based on evolutionary Dogma? Whoever heard of soft tissue surviving more than a few years no more than 70 millions? Trilobite's from supposedly 500 million years ago have also been found soft body in New York State! When fossils don’t fit the established dogma of evolution, explanations of "amazing", "unbelievable" etc. are used to excuse the out of place position and suggested oddity, not to be included in an overall and more accurate picture of origin science for the textbooks. Telling a one-sided story and calling it science needs to end. What is a Fossil and how are they made? A fossil fish have been found in Sandstone with a small fish in its mouth! - quick burial during dinner, you think! What does it take to make a fossil? Fossilization can take place very quickly, in a few years or less. In a class science lab, students 'fossilized' a bone in a few days! So much for Mrs. Plesiosaur needing 75 MY to 'Fossilize'! Please download the free book "Stones and Bones" by Dr. Carl Wieland of CMI. You are Special and Important to God! You were Created in a Vital time frame for a reason! Time did not create you, God has! Use your life and time for God! Science falsely so-called is dangerous to true faith, the Faith that Saves Us!!! We hope you will study and find these truths helpful in your search real truth - a truth that will lead you to the most important decision of your life, to accept the truth of the Bible and a saving faith in Jesus Christ, His son sent for you! It's this simple, Jesus said; The Work of God is this; to believe in the One He has Sent!. Jesus Christ paid the price for your ticket into the theater of God's family. You can do it, He will change you! He is the Author of life, Creator of the Universe! God Bless you in this search, you are only a prayer away from having His Mighty Power come into your heart and change you forever, I found Him, you can too!